Meet Cooper, a one and a half year old German Shepherd Cross Mastiff, who’s owners had a change in circumstances. Cooper is a nice boy, who is starting to settle in kennels, but he can’t wait to find his forever home. 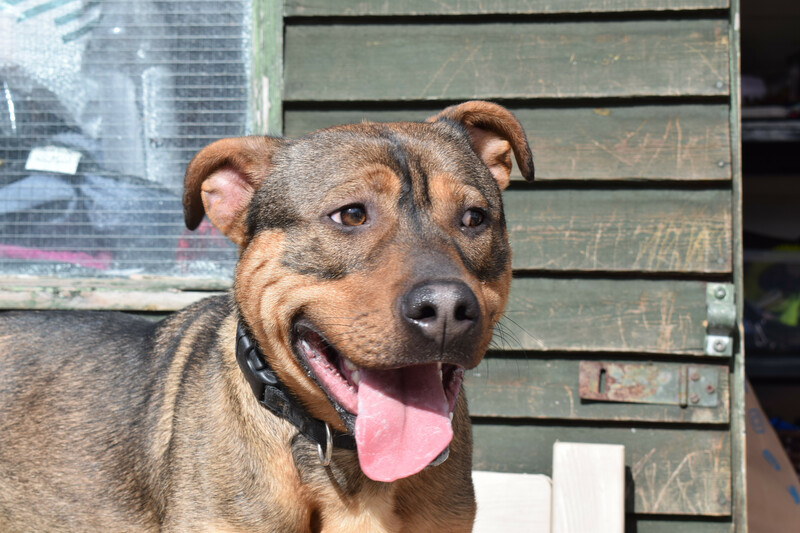 Cooper is friendly with both staff and other dogs at kennels, however we are looking for someone who has had experience of owning bull /larger breeds in the past. He would prefer to be the only dog in the home. No cats please.